I love potager gardens! What are potager gardens, you ask? A potager garden is a vegetable garden that focuses on looks as much as taste. These quaint 16th-century French-style gardens have very recently become popular, and its easy to see why. They are the ultimate combination of function and fashion  at least when it comes to gardens. Below, you will see great potager garden. This is a prime example of how one can grow vegetables while keeping an eye towards aesthetics. One of the great things about this style of garden is that it is a great way to fulfill all of your gardening needs. It is very common to include inedible plants in these gardens to accentuate the natural beauty of the vegetables that you are growing. So if you have a small space and would like to grow both edible and inedible plats, the potager garden is a great design that offers the best of both worlds. Want to start a potager garden of your own? It's easy. Classic potager gardens are grown in geometrical, symmetrical plots. 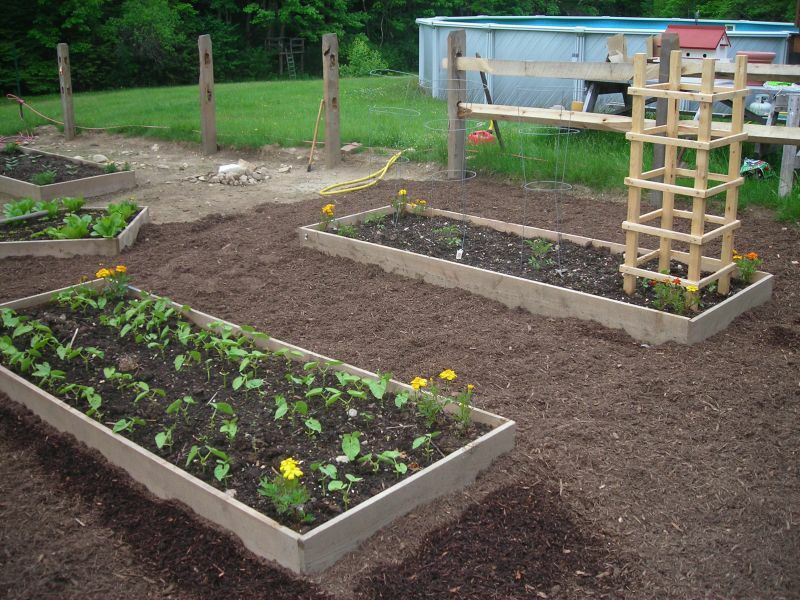 The first step is to come up with a design that incorporates raised beds that are in simple shapes like squares, rectangles, or triangles. Next, choose attractive herbs, fruits, and vegetables. Some classic decisions include plants that grow tall, have interesting colors, and fit within a color scheme. If you like tomatoes, for example, you might choose to grow heirlooms because of their unusual shapes and colors. After youve chosen your edible plants, pick out some ornamental plants that fit that fit the scheme and  voila  youve got a potager garden of your own! Potager gardens are a beautiful relic of 16th-century France. They combine the usefulness of vegetable gardenswith creative aesthetic decisions. With the charming way these gardens produce edible food, they always get attention of passersby and are a magnet for compliments.